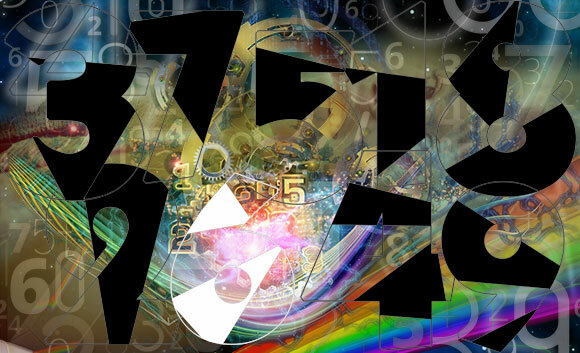 The 6 is considered the most harmonious of all single-digit numbers in numerology. Its most important attribute is its loving, caring nature. Aptly nicknamed the motherhood/fatherhood number, the 6 is all about sacrifice, healing, protecting, and teaching others. No family or community can function without the attention of the 6 – it is the glue that keeps a family and community together. Creating an environment of peace and harmony is always at the forefront. Home, family, and friends are top priorities. People with a 6 in their core numbers often focus on the young, the old, and those less fortunate. The 6 is sympathetic, favors the underdog, and has a keen sense of what is fair and just. Perceiving injustice, the 6 will sacrifice immense time and effort to set things straight. Highly responsible, the 6 can be counted on to show up and do more than its fair share of the work. People with a 6 can be demanding, but they will work in the background when needed, without an expectation of reward. The 6 is graceful, warm, and has a good sense of humor. They are well respected in the workplace due their sense of duty and responsibility - but also because they are genuinely respected and well-liked. Many 6’s can be found in teaching, healing, counseling, construction, the legal field. and law enforcement. On the negative side, the 6 can be jealous and small-minded, often focusing on small details while ignoring the bigger picture (often to their own detriment). Not always the best judge of character, the 6 has been known to sacrifice for a person or cause not worth the price. At times the 6 can become too involved in the lives of those held dear, to the point where concern becomes intrusive and meddling. On the other hand, the 6, ever sacrificing, can become a doormat to be abused and trampled on. The 6 is idealistic, trusting, and easy to take advantage of. The 6 can be conventional, and must be wary of adopting the opinions of others instead of using his own mind. They can also be smug and arrogant, especially toward authority figures and institutions. Sometimes annoyingly self-righteous, the 6 can become an intolerant zealot. A disproportional number of people with OCD have the 6 prominent in their charts, and can suffer from anxiety and other phobias. The 6, while loving, caring, and full of sympathy for others, can be self-centered and egotistical if people at the receiving end do not show the gratitude expected. Normally, however, those fortunate enough to receive the attention of the 6 genuinely appreciate and cherish in return. Numerology views no number as without weaknesses and faults; that said, the 6 remains the most harmonious and stable among them. Perhaps for that reason, when the 6 (occasionally) falls into discord it can become the most destructive and dangerous of all numbers. Beware of a cynical or angry 6, who can become a merciless wolf in sheep's clothing.